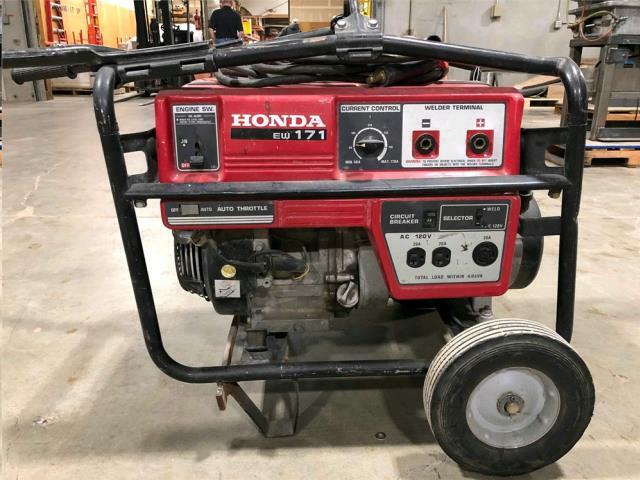 -Welder Generator provides 171 amps of DC welding power with a 50-percent duty cycle in addition to 4000 watts of maximum AC power. -This model offers standard Auto Throttle, two-wheel transport kit and is powered by Honda s 11 horsepower OHV commercial GX engine. * Please call us for any questions on our 170 amp portable welder generator rentals, serving Tampa Bay, Brandon FL, Riverview FL, Seffner FL, & Lakeland Florida.